Green Beauty - making your own sustainable, natural and green beauty products. Can you EAT your makeup? Or your beauty self-care products? Did you know it only takes 26 seconds for what you put on your skin to be absorbed into your bloodstream? And that 2.6 billion plastic bottles hit the landfill every year JUST from shampoo and conditioner bottles? 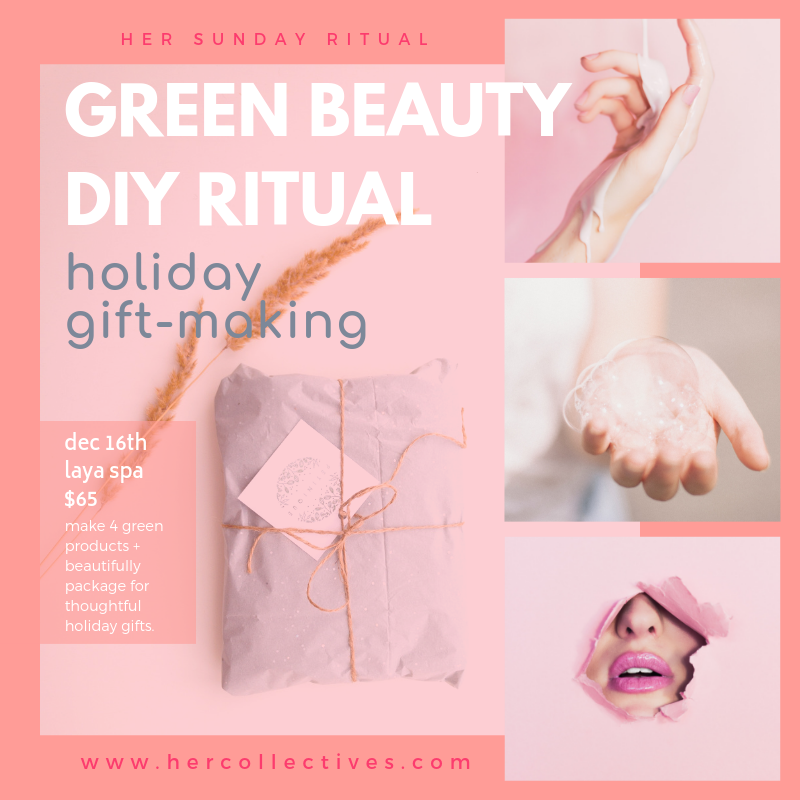 Join us to learn about green beauty and make your own green and clean beauty body oils and bath salts, the perfect holiday gifts! Tips on how to avoid harmful ingredients in your products and how to make some of your own. As well, how to be more eco-friendly with your beauty routine. Option 2: Winter Calming Oil with Hibiscus, Calendula and Rose infused Oil + Bath Soak. All health benefits and uses have been carefully selected and will be described and provided on the labels for you . 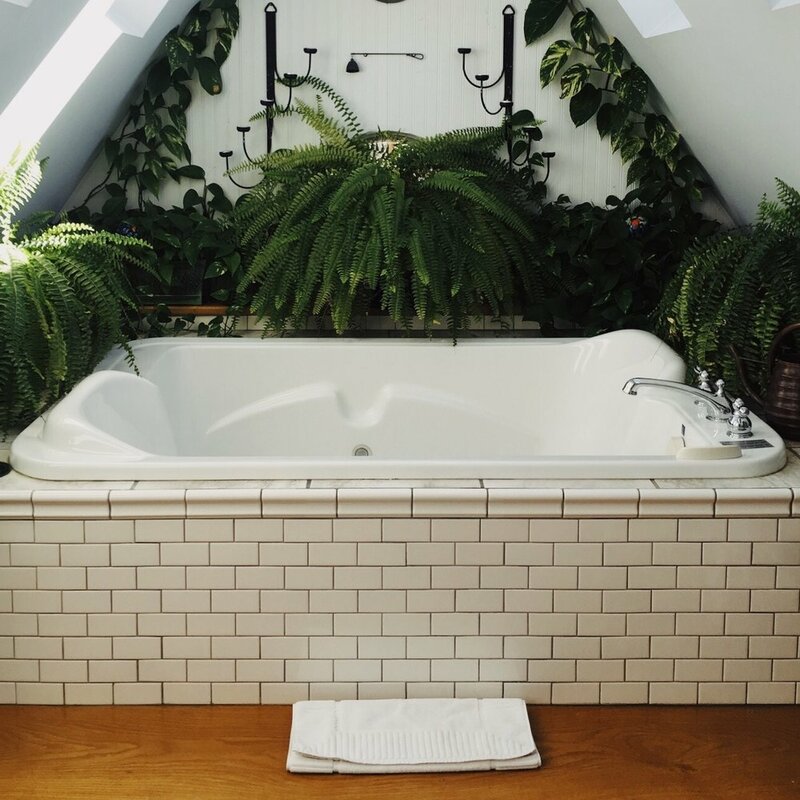 The herbs and combination have been carefully selected by Ayurvedic Skincare expert, Alessandra, Owner and Director of Laya Spa, certified aesthetician, 500YYT, Rituals Ayurveda School graduate, currently deepening her knowledge of plant medicine from Gaia School of Healing. Her education will involve full immersion of Plant Spirits and Herbal Healing all derived from the Wise Woman Tradition. We are so grateful to collaborate and have herbal medicine guidance from this woman empowering business leader. Make a herbal infused body oil and matching bath salt soak x 4 sets as gifts (maybe 1 for yourself ;)). Choice of Anti-Inflammatory Winter Oil + Bath Soak with Arnica and Pine; or Winter Calming Oil with hibiscus calendula rose infused Oil + Bath Soak. Choose your own essential oil combination to add to enhance the aromatherapy and scent. learn about green beauty alternatives; things you can make or where to buy to create less waste in your beauty routine. Beautiful packaging to make a very positive, one of a kind, thoughtful, beautiful gift for those you love. TORONTO FEMALE FOUNDED AND RUN COMPANIES THAT ARE GENEROUSLY PROVIDING ALL ATTENDEES A LITTLE SOMETHING, BECAUSE BEAUTY STARTS INSIDE OUT! 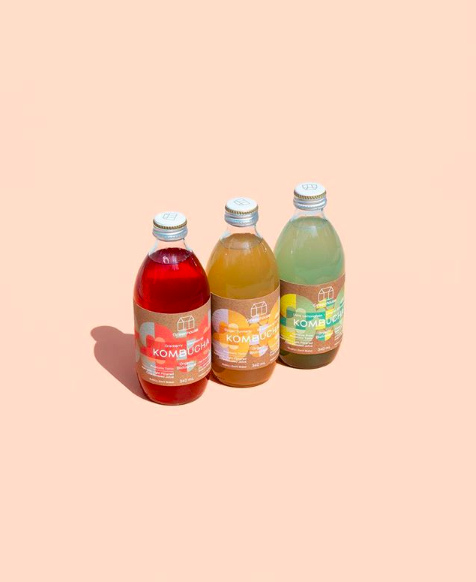 Thanks to our generous sponsors, each attendee will receive a gut-healing probiotic greenhouse kombucha and essential oils from Saje Wellness. Her Collectives is very proud to support and collaborate with these female run local businesses. Thank you!